Runners encouraged people to collect waste and reduce plastic pollution. More than six tonnes of rubbish were collected in a 24-hour marathon during which two runners covered 126 kilometres to raise awareness on plastic pollution. 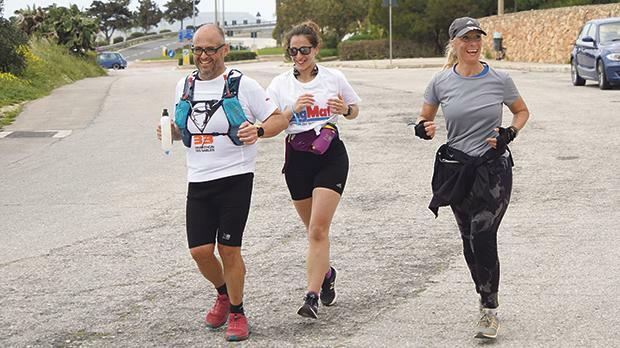 The initiative, launched by running partners Trudy Kerr and Deborah Gatt, sought to encourage people to collect waste which would otherwise have ended up in the environment and the sea – through a series of long-distance runs around the Maltese islands. The run started Saturday, with the runners stopping along clean-ups organised as part of the event. Over 150 volunteers and 65 runners joined them with some taking part in clean-ups. The two runners undertook the challenge after being inspired by Neil Agius, who swam around all of Malta last summer and urged people to support him by picking up waste. “Just pick up rubbish – this is the whole reason we have taken this campaign forward and will continue to do so,” Ms Kerr said. There was no participation fee, but participants were asked to collect three pieces of rubbish before submitting their application. Those taking part in the event were also asked to collect another three pieces of rubbish at the end of the run or join one of the eight clean-ups taking place along the route. “The campaign is not a fundraising venture but targeted to raise awareness on the irresponsible attitude towards rubbish and, specifically, plastic,” Ms Kerr said. Malta is still lagging in dealing with its growing waste problem, statistics show. The country was dubbed “the dirtiest in Europe” by international media after a European Commission report warned Malta is at risk of missing its 2020 municipal waste recycling targets. Around eight million metric tons of plastic a year are thrown into the ocean. Since the most common pollutants, such as plastic bags, fishing gear and food and beverage containers, never fully degrade in the water, the amount of rubbish in international waters now poses serious risks for the planet. Consequently, studies predict fish will become extinct by the year 2050 – only 31 years’ time. Statistics reveal just a sliver of Malta’s municipal waste was recycled until 2017 and the amount of rubbish generated by the average citizen shot up after that year.